The real estate regulatory authorities are aimed to protect the interest of the home buyers and to improve the working of the real estate sector. With one and a half year having passed, the RERA seems to be on its way to becoming a reality, with most states notifying rules under RERA, and over half of them establishing a permanent authority. Since the inception of RERA, 21 states have already notified the rules, whereas, West Bengal has introduced its own Act, with some minor changes. The Seven sister states are still lacking behind. The implementation of the Act has been most effective in West and North India. Maharashtra, in particular, is leading the way in terms of regulations and litigation, with the state accounting for around 59% of the total projects registered thus far countrywide. South and East India, however, are lagging in terms of implementation and infrastructure, with registrations yet to commence in Kerala, West Bengal notifying its own Act with deviations being present in certain key clauses, and six states in the North East yet to notify the Act. The current regulatory is bringing out transparency and credibility in the real estate sector of most states. However, benefits are likely to accrue to all buyers over time. There is a need to upgrade the scope and spirit of the Act which can be done by tech-enabled platforms which are able to manage larger size data which is still not recognized by many states. With a rising focus on implementation of the Act, the expected benefits from the same are likely to increase. The fact is much known to all of us as the home buyers are still facing disparity in the authorities which will take to let the builders come out of there Bahubali avatar to a normal human being avatar. 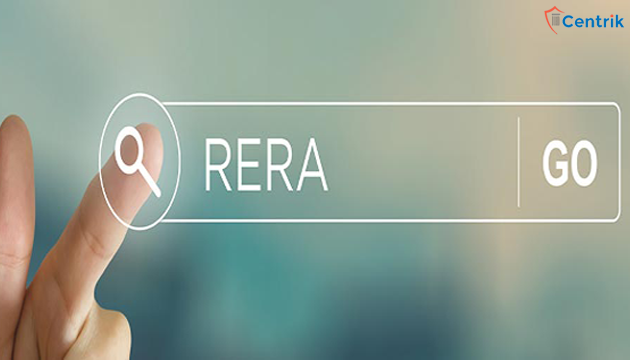 The real awe impact of the RERA act in the real estate sector is still awaited as the RERA Authorities have counted on the projects which are still unregistered and the authorities are issuing directions to get all of them registered. In any case, if the promoters do not comply these instructions of the RERA Authority then the builders might have to face the huge penalties.